To RSVP for this information or kickoff session, please email CoachEd@TriTeamZ.com or click Here and submit your information. We will reply to your request with a confirmation of the date/time/and location. Parking: Please park on N. Pershing or on 2nd St (at the end of N. Pershing just past the Recreation Room Building. Parking in the lots next to the Recreation Room Building OR in the parking lots for adjacent apartment buildings will leave you at risk of being towed. Contact: Please call 703-200-3081 if you need assistance! Description: This is the sales office/community room for a condominium community called Arlington Oaks. The building does not look like the other 2 story garden style condominiums which surround it! Please take a look at the Google Map to familiarize yourself with the area as GPS units tend to take you about 1 block off! The meeting room is just inside to the left, and there are bathrooms available. This is a picture of the building from the outside. Exit at Glebe Road/Ballston onto Fairfax Dr. Turn Right at second light onto Glebe Road. Turn Right at the CVS onto N. Pershing. Cross over George Mason Dr. at the stop light. The building will be down the road on your left about 300 yards. Turn left at the light at the end of the exit ramp onto Glebe Road. Cross over Fairfax drive and follow the directions from #3 above. Exit Route 50 (right hand side) at George Mason Dr. Turn Left onto George Mason Dr. at the stoplight. 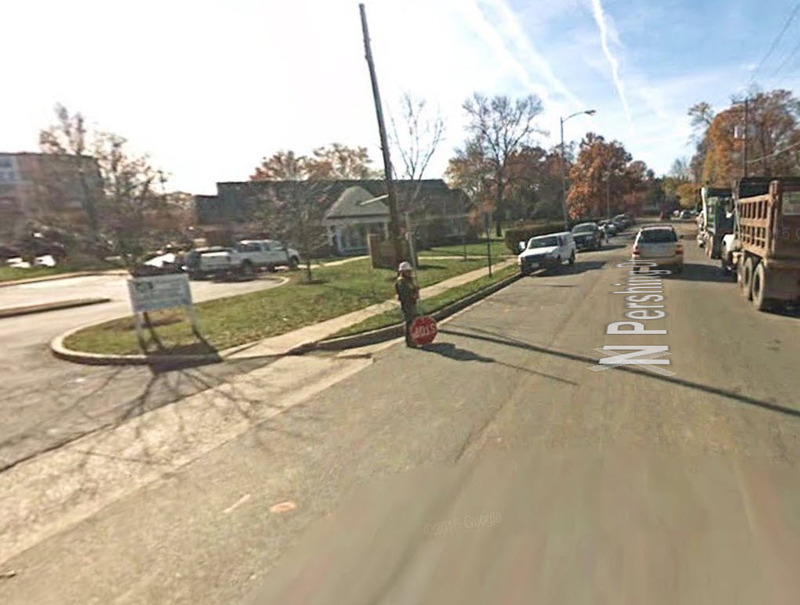 After you cross over Route 50 on George Mason Dr, turn Left at first stop light onto N. Pershing Dr. The building will be down the road on your left about 300 yards. Exit Route 50 on your Right onto George Mason Dr. Turn Right at the light onto George Mason Dr. Turn Left at first stop light onto N. Pershing Dr.